Find out about UCU's campaign to defend the rights of EU nationals and how you can become involved. recruit and organise EU nationals and other international staff. Recruitment campaigns can be tricky at the best of times. 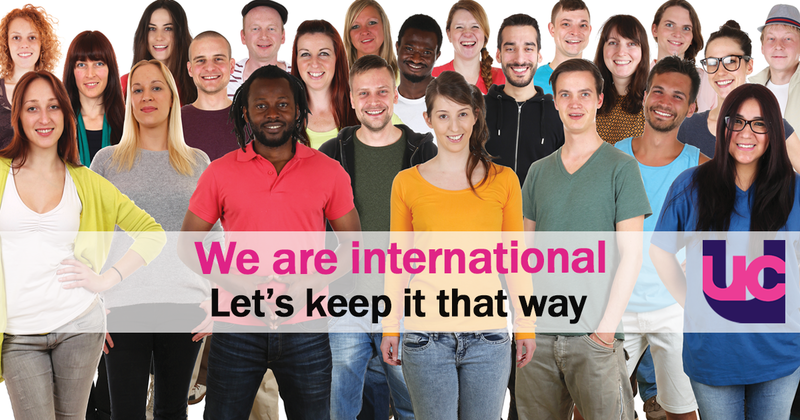 Our plan to mobilise, recruit, and organise EU and other international staff is ambitious. The national campaigns team is available to assist branches and work on our campaign together. UCU national organiser Joe McCrory is the primary point of contact for branches. If you need support developing a campaign plan, or have other queries, contact Joe in the first instance. See our guide to local campaigning, guidance on recruiting and organising also further information on our Build the Union site. Please contact Martin Whelton to order any materials. UCU is proud to support One Day Without Us. At 1pm on 20 February 2017 all migrants and their supporters were invited to take part in a unifying action on social media using the hashtags #ucu and #1DayWithoutUs.